Question #1 - Who is the black sheep in your family / group? Question #2 - If you were a character from a book, what character would you be? Interesting. The kind of questions I would never ask myself. 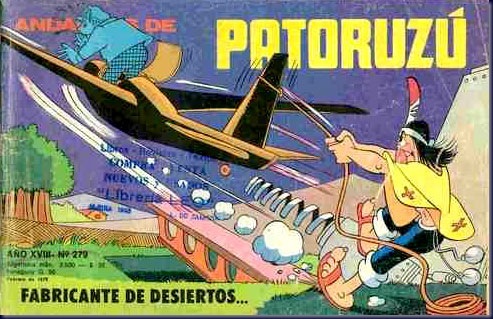 I would like to be this guy, Patoruzú (one of the oldest and most known comic strip heroes in my country). He is a chief of the Tehuelche tribe in the Patagonia, who is obscenely rich, but has a heart of gold (and did I mention superhuman strength?). Technically, he's a character from a book, because they would publish a book every December. 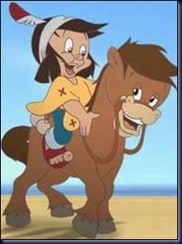 He would ride his horse called "Pampero" (like the name of the Patagonian wind). There were two "Patoruzito" movies already (in recent years) and they were both quite successful. Question #3 - What's your favourite accent? UPDATE! After having read Laane's Manic Monday post, where she mentions the Scottish accent, I remembered this Jim Breuer video I'm subscribed to on YouTube. I hope you like it! I have a very hard time with accents, maybe it's because of my hearing loss. I don't have a hard time with yours, though. It's not heavy, it's lovely. I love a spanish accent, but the Irish is probably my fav. As for the black sheep of my family? LOL. Look no further. 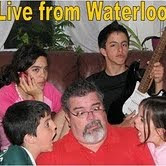 It used to be my brother, but I think that I have that dubious honour. lol Jim Breuer used to have a wicked New England accent...not so much now. janet, I did't know that. I can't tell a New England accent, anyway (though I have been told I have that accent, incredibly!). I think everyone was the "black sheep" at one time or another. Great book character! I love the illustration. Happy Manic Monday! Un primo llamado Carlos. Hizo las mil y una. Mal. Acento? 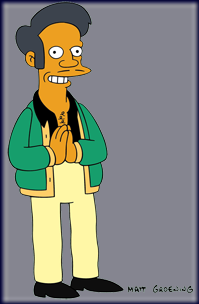 SI, el de Apu es genial, pero me gusta el del Depressed Persian driver de MAD TV. Patoruzu me copa, pero mas me gusta Isidoro. De un libro? Jack Ryan, sin duda alguna. Happy Manic Monday a day late! Scottish is on my list too! Patoruzuuuuu, como me gusta! Con mi hermano la comprabamos en el kiosco de diarios de la 2 al lado de Havanna o en Spaltro (mi negocio Necochense preferido). 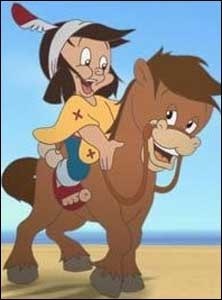 Junto con Patoruzito e Isidoro era lo que leiamos en las vacaciones. Vi la primera pelicula y ahora mi mama me va a traer el DVD de Isidoro de regalo de cumpleanios. 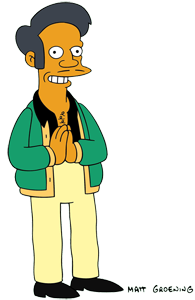 i love Apu! i am a simpsons freak! i love that show!